I love this card!! Just looking at it makes my eyes happy and my heart swell! I can't explain what this lovely combination of colors does to me! Just like yesterday, I used another paper from the Serene Scenery Designer Series Paper Stack which are preprinted with a outdoor backgrounds and a variety of graphic designs. I'm usually not a big fan of yellow, but the color combination of So Saffron, Crushed Curry, Gold Foil and this flower image from the Serene Scenery Designer Series Paper Stack just really "worked!" I gold embossed the sentiment on a So Saffron oval cut with the Stitched Shapes Framelits. I have had the pieces for this card sitting on my workspace for about a month. I just couldn't finish it because I couldn't decide how to add the sentiment. I tried a variety of ribbons, a bunch of banners shapes, and it just wasn't working. I was cleaning up a corner of my work space and noticed the silver embossing powder tray had tipped over and was mixed with the gold embossing powder. While cleaning out the Gold embossing powder tray, I looked at the partially completed card and the light bulb went off to use gold embossing for the sentiment. I tried it on Very Vanilla, but it was just too stark. Then I grabbed a scrap of So Saffron and just melted when I saw the results. It pulled the card together so well. I hope you like this card as much as I do. March 26 - We'll decorate our free Sale-A-Bration Gold and White tins, stamp the inserts, and make 6 cards using the Birthday Blast and Cool Treats stamp sets. Stampin' Up! has run out of inventory on these tins, which were a free selection with a $50 order. However, I will have some of these tins for sale, if you need one, when you register for the class. Announcement for this class to follow shortly. You can get a an idea of what our classes are like through photos of our recent Spring-Easter class. Photos from the class are in a photo album on my Meetup site. While visiting the photo album, sign up for my Meetup site to receive notifications of upcoming classes. While some of the free selections are already sold out, one of the popular, free Sale-A-Bration selections still available is the 6X6" Glimmer Paper Assortment Pack (143831). Just a few weeks remain to make this one of your free selections with a $50 Order. Don't miss your favorite picks. 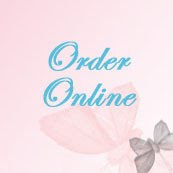 Place your orders today. 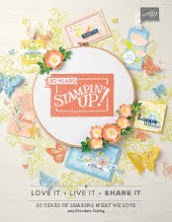 Select from the glimmer papers above, stamps, designer series papers, or ribbons. Stampin' Up! added three additional free gift selection. Download below. March 31 is the end of Free Sale-A-Bration selections with each $50 order. 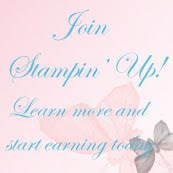 The extras sign-up bonus for becoming a Stampin' Up! demonstrator also end this month. You can join Stampin' Up! as a demonstrator as either a hobby demonstrator to make new friends and enjoy demonstrator product discounts of 20-25% on product purchases. Or you can turn your hobby into a business where you are your own boss, work your own hours, and do something you love! Both specials ens March 31.